I've been looking for a good copy of this for a long time! Great dynamics, awesome pose, strong colours to express a lot of affection. I like it! Thanks! I like colors and their pose. 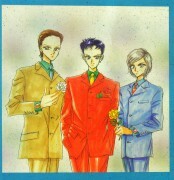 I think that Chibi Chibi is the cutest character in whole Sailor Moon series :) Thank you for scan! 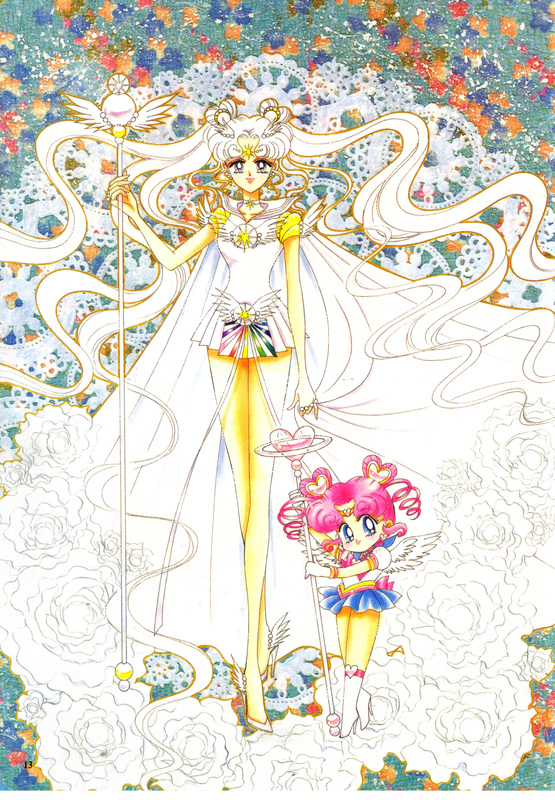 awww~ I love chibi chibi... love her more than chibi moon. There were no explanations of this sailor cosmos and chibichibi at all. Is cosmos really chibichibi? Is chibichibi really chibiusa's kid?